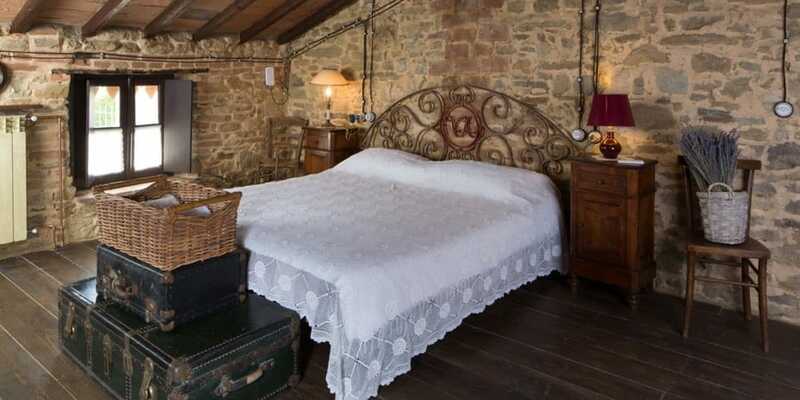 The two rooms of the nineteenth century, conceived in perfect harmony with the original architectural features, although different from each other, share the ceiling with exposed beams, stone walls and wooden floors. The furnishing with antiques blends in well with a careful search for original details. 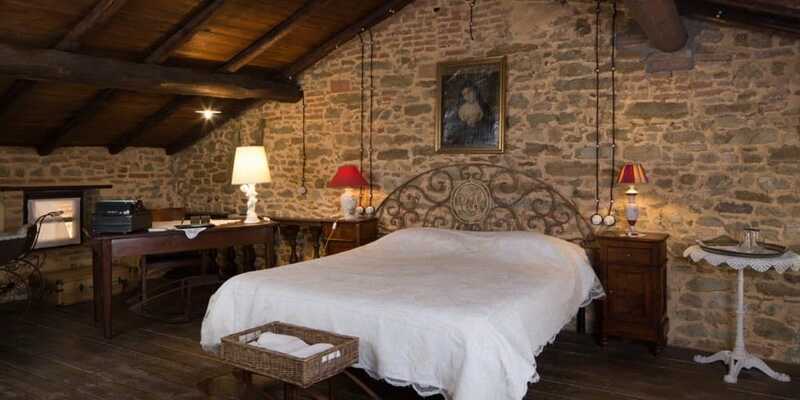 The other three rooms: Giulè, Sara and Vera are situated on the first floor, near a completely restructured farmhouse of the early twentieth century. 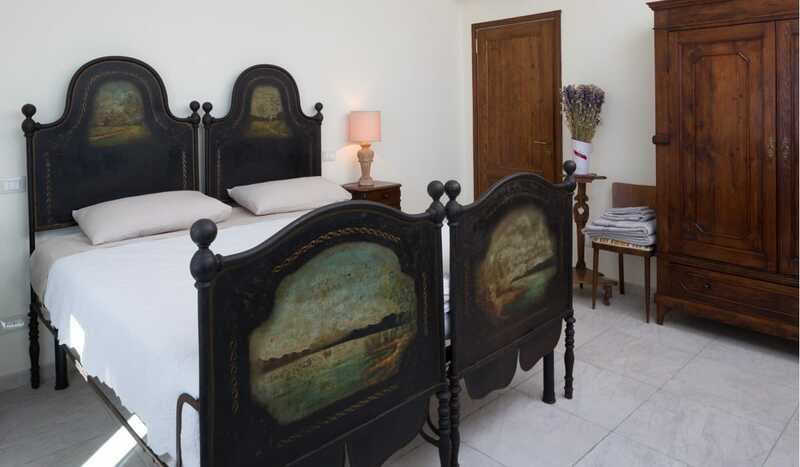 The Lula suite which also has its private entrance and terrace with a sitting area in the nearby porch, is very large, welcoming and romantic. It boasts of the charm of an old copper bath tub, now obsolete, which towers in a corner, dragging guests into a Magical atmosphere. 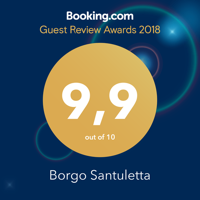 The Omai suite, which is accessible by a staircase embraced by the vines, opens onto a large equipped porch where the view is dominated by the swimming pool and the beautiful sequential hills of the Oltrepò. 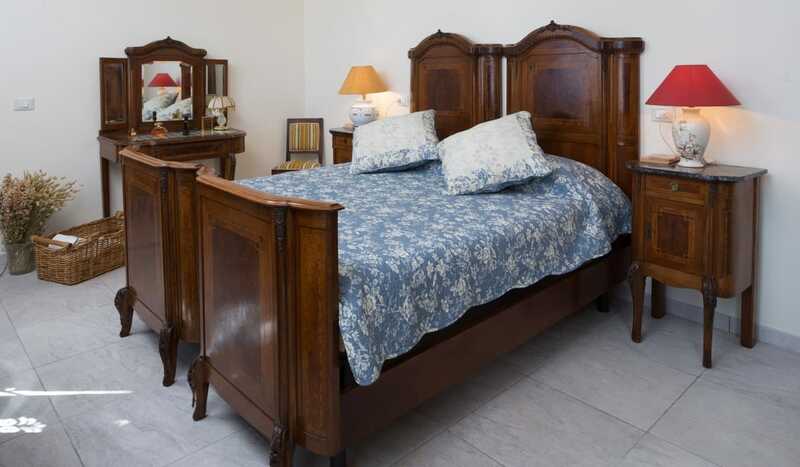 Bright and welcoming, it fascinates with its imposing large wrought iron bed. It also enjoys the beautiful panorama that is admirable from the balcony. Giulè is a cosy and welcoming room that opens onto a balcony that embraces a large part of the first floor and from which you can observe the splendid hilly landscape that is the backdrop to the antique furnishings that takes us back to the atmosphere of our grandparents. 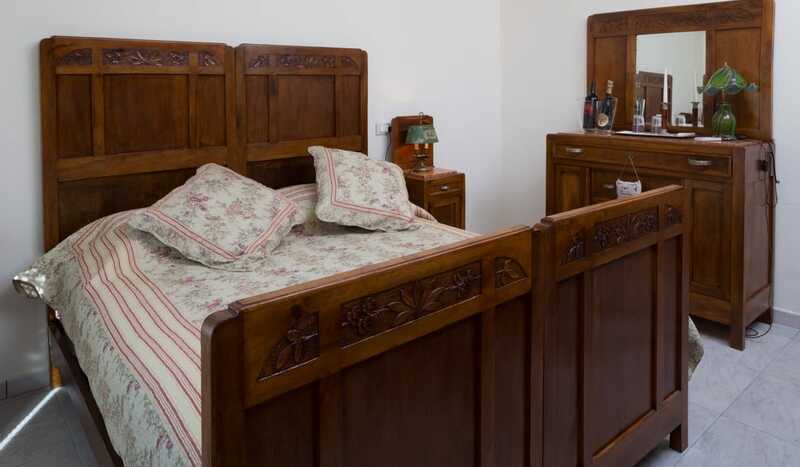 It is a classic grandmother’s room, with complete antic furniture. If you peep from the ancient curtains, you can see the village and the hilly landscape.